Kathmandu–The cricket match between Nepal and the UAE scheduled to be held in Dubai has been affected due to the rain today. The match to be held at 2:45 pm according to the Nepali time at ICC Academy in Dubai under the T20 International series would be the third one as well as the last one. The match has not taken place yet due to the rain and storm. Nepal and UAE have won in one game each of the 3 series match. If today's match is called off due to the incessant rain, the game will end in equal scores. 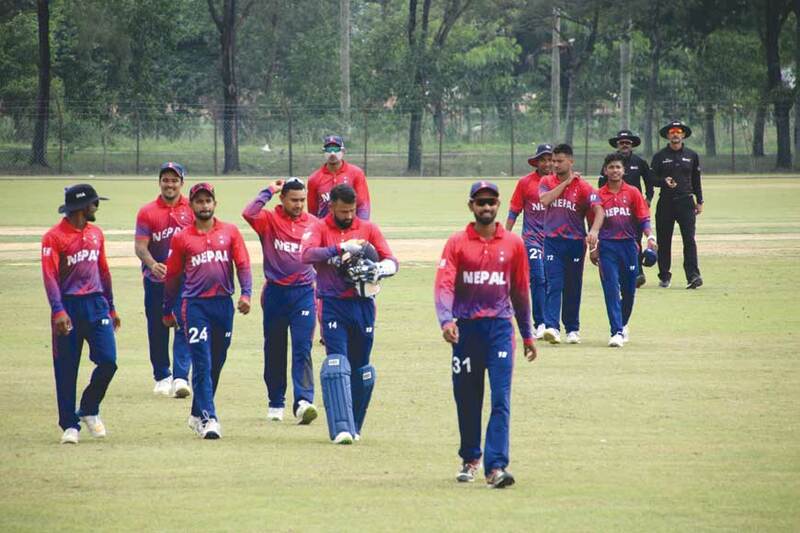 The Nepali national cricket team which had gone to the UAE to play three One Day International (ODI) and three T20 series had made a history by winning its first ever ODI against the UAE after defeating the host country's team in the third and the final match of the 3-match of ODI. Nepal and UAE had ended 1-1 in T20 international series.